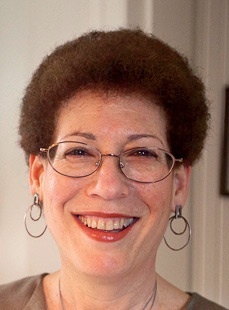 Radcliffe Institute dean Barbara J. Grosz, who assumed the position on an acting basis in 2007 and became dean the following year, announced in mid April that she would relinquish the post on June 30. After a year of leave, the computer scientist will resume her teaching and research activities at the School of Engineering and Applied Sciences, where she is Higgins professor of natural sciences. In thanking Grosz for her service, President Drew Faust said, “Barbara has a talent for nurturing intellectual communities—forging new interdisciplinary collaborations, bringing together scholars from Harvard’s schools and around the world.” At month’s end, Faust named Lizabeth Cohen, Jones professor of American studies, as interim dean, while the search for a permanent successor is organized. Cohen, a past chair of the history department, was a Radcliffe fellow in 2001-2002, and co-chaired Faust’s Common Spaces Steering Committee, which examined opportunities to use campus spaces better to promote social, artistic, and intellectual interaction. In other news, the institute announced that it had appointed 51 fellows for the 2011-2012 academic year, after cutting back for two years following the financial crash. Faculty of Arts and Sciences dean Michael D. Smith told colleagues on May 3 that FAS had reduced its unrestricted deficit during fiscal year 2011 (ended June 30) to approximately $16 million—better than the $35-million deficit originally budgeted. He forecast a balanced budget for the new fiscal year, given continued financial discipline, and room for investments in priorities such as information technology and the libraries (where significant administrative savings and service enhancements are sought) and in staffing for the forthcoming capital campaign, intended to be the source of funds for more significant priorities such as House renewal and academic growth. For more details, see harvardmag.com/fitter-fisc. The College has identified Harvard-owned properties that will provide temporary residences for 180 undergraduates displaced by the renovation of Old Quincy during the 2012-2013 academic year, the pilot project for the subsequent renovation of all the Houses (see “Prototyping House Renewal,” March-April, page 44). Students will live in Hampden Hall, near the Harvard Book Store; Fairfax Hall, opposite the rear entrance to Widener Library; and Ridgely Hall, on Mount Auburn Street. They will continue to dine in Quincy, while enjoying kitchens and cable TV connections in their interim quarters. The graduate students now housed in the buildings will be given priority access to other Harvard-owned apartments. Separately, designs for the renovation—including horizontal links between entryways and new social and arts spaces—were released May 20; see harvardmag.com/housing-plans for details and images. Forging ahead with its ambitious $250-million Stanford Arts Initiative, that University has retained Diller Scofidio + Renfro (which redesigned Lincoln Center in New York City) as architects for the new McMurtry Building, a 90,000-square-foot home for its department of art and art history, including studios for art practice, design, film, media studies, and documentary film, plus library and gallery space. Construction is scheduled for 2012.…Stanford is also exploring opening a second campus, in New York City, focusing on applied science, engineering, and graduate education.…The University of Pennsylvania received a $225-million endowment gift for its School of Medicine from Raymond G. and Ruth Perelman, for whom the school will be named; their gifts to Penn’s capital campaign now total $250 million.…Yale announced that it would make access to all the public-domain digital images in its museum, archive, and library collections available online, free, without license or restrictions on use; 250,000 images are available initially, with millions more forthcoming.…University of Southern California engineering alumnus John Mork and his wife, Julie, have given his alma mater $110 million for scholarships. He is chief executive of Energy Corporation of America. This April saw the unveiling of a portrait of John P. “Jack” Reardon Jr. ’60, associate vice president for University relations and, since 1990, executive director of the Harvard Alumni Association. In recognition of a Crimson administrative career that began in 1965, Reardon’s class of 1960 commissioned the portrait at their fiftieth reunion. The oil painting by Juan Bastos, an accomplished portraitist from Los Angeles, depicts Reardon standing on the landing in front of Harvard Hall, with Massachusetts Hall in the background. In a nod to Reardon’s long service as director of athletics, it hangs in the Murr Lounge of the Murr Center, home of the athletics department. From Chile and China. In April, the government of Chile and the state-affiliated China Scholarship Council separately reached agreement with the University to finance students pursuing graduate and professional study at Harvard. The University and Chile will share the expense of supporting 15 Ph.D. students at a time (an increase from the current number of Chileans enrolled), and some master’s-degree candidates. The Chinese nonprofit institution will underwrite transportation, living expenses, and tuition for 15 doctoral and 20 master’s students annually. Architecture and engineering. The Crimson reported in April that two new undergraduate concentrations are being designed for the fall of 2012. The department of history of art and architecture and the Graduate School of Design are collaborating on a program in architectural studies, encompassing theory, studio work, and architectural history, but not aiming for preprofessional certification. Separately, the School of Engineering and Applied Sciences would create a separate course of study in electrical engineering, to distinguish it from the five current tracks within engineering sciences. ROTC rolls on. Both Columbia and Yale have reached agreement with the U.S. Navy to reinstate Naval Reserve Officers Training Corps (NROTC) programs. Columbia’s will function through the ROTC unit at SUNY Maritime College in Throgs Neck, New York—an agreement very similar to the one Harvard reached with the Navy in March (see “ROTC Returns,” May-June, page 45). Yale’s NROTC unit will be located on its campus, in the absence of any existing program nearby. Meanwhile, Stanford’s ad hoc committee on ROTC recommended that the university also invite the program back to campus. BGLTQ resources. 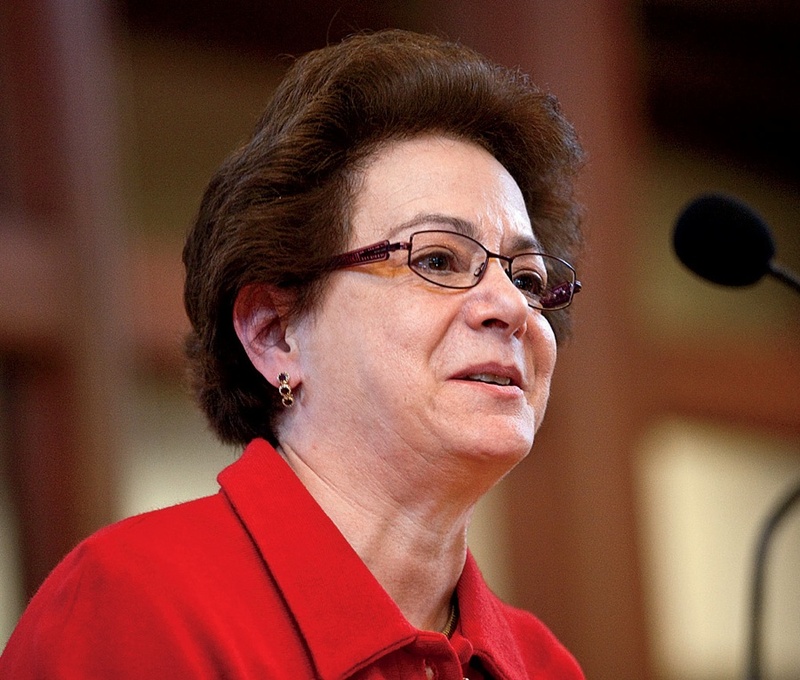 Harvard College dean Evelynn Hammonds accepted the principal recommendation from a working group she formed last fall and will create a staff director position to coordinate the “existing—and substantial—supports” for bisexual, gay, lesbian, transgender, and queer undergraduates and to create needed new programs. The task force was co-led by Susan Marine, assistant dean for student life and director of the College’s Women’s Center, which has informally functioned in part as a center for BGLTQ students. Marine noted that Harvard is “the only institution among the Ivies and other elite colleges that does not have a designated point person” for BGLTQ resources and support. Separately, Marine announced her departure at the end of June to become an assistant professor and program director at Merrimack College; she did not have a teaching role in Cambridge. Winter activities week. Students will be permitted to return to campus two days earlier in 2012, during the January break created by moving College reading and exam periods to December, with residences opening on the Friday before the Martin Luther King Jr. holiday. In April, College dean Evelynn Hammonds reported to Faculty of Arts and Sciences colleagues that just 37 percent of students surveyed had participated in the events and programs offered during “optional winter activities week.” She expressed the hope that in future years, faculty members would organize more of the offerings; they provided just 4 percent of the nearly 100 options in 2011 (staff and students submitted the rest). Miscellany. Harvard Kennedy School has announced the creation of a new chair—the Schlesinger professorship of energy, national security, and foreign policy—honoring James R. Schlesinger ’50, Ph.D. ’56, a former Overseer who served as U.S. secretary of defense and of energy, as CIA director, and as chair of the Atomic Energy Commission.…Construction has begun on the new $207-million Allston housing complex to which the Charlesview residences (south of Harvard Stadium, at the intersection of Western Avenue and North Harvard Street) will be relocated. The current site is at the center of Harvard’s now-stalled plans for Allston campus development; the University swapped parcels to gain control of the critical site.…James Cuno, Ph.D. ’85, former director of the Harvard Art Museums and since 2004 president and director of the Art Institute of Chicago, has been appointed president and chief executive of the J. Paul Getty Trust, with its associated museum, conservation institute, and research wing.…Laurie Patton ’83, a professor of South Asian culture and religion at Emory University, has been appointed dean of Duke University’s faculty of Arts and Sciences.…Ted Mayer, assistant vice president for hospitality and dining services—Harvard’s director of food services for the past 15 years—has relinquished the position to pursue consulting opportunities.